Russian President Vladimir Putin has a new toy and he wants Russians to think of it as their Christmas present, too. On Wednesday, he called the successful test of a new supersonic weapon “a remarkable, excellent New Year’s gift to the nation.” Russians probably would have preferred a rollback of a recent retirement-age increase under their trees, but that doesn’t much matter to Putin’s view of his country’s national interest. The question to ask as a bad political year ends for Putin is to what degree his militaristic worldview should survive his leadership. That doesn’t only depend on Russians; once Putin is gone, the West — but largely Europe — will have another chance to tempt Russia with different prospects. Russia has a broad set of geopolitical options. It can try to be a global military superpower, a status it achieved in the 20th century despite a weak economy thanks to its armaments and creative strength harnessed by fearsomely repressive regimes. It can accept the status of a regional power, increasingly turning into China’s junior ally and natural-resource base. Finally, it could establish itself as part of a greater Europe, following ideas first developed in the early 20th century by Halford Mackinder, one of the fathers of geopolitics. Putin’s predecessor, Boris Yeltsin, at first embraced the latter path, but his impoverished, chaotic Russia scared and repelled Europeans, who saw an alliance with the U.S. as far more profitable and useful from a security point of view. The U.S. never supported the greater-Europe notion because, ever since French President Charles de Gaulle advocated “a Europe from the Atlantic to the Urals” in 1959, this was a project to counterbalance U.S. power. Meanwhile, not even Yeltsin could quite imagine Russia fully integrated into European institutions, which were still taking shape during his rule. His last years in power were spent in a clumsy balancing act between Russia’s three options. Putin inherited this fundamentally weak stance. A quick learner and adroit tactician, he soon had the skill (and the oil revenue windfall) to play Russia’s cards better than Yeltsin had done. Yet his natural preference was for the superpower option, the iffiest and most adventurous of the three but also the most consistent with his training and experience as a Cold War spy. Besides, he didn’t see a viable alternative. He’d come to see Europe as a collection of U.S. vassals incapable of independent policy. 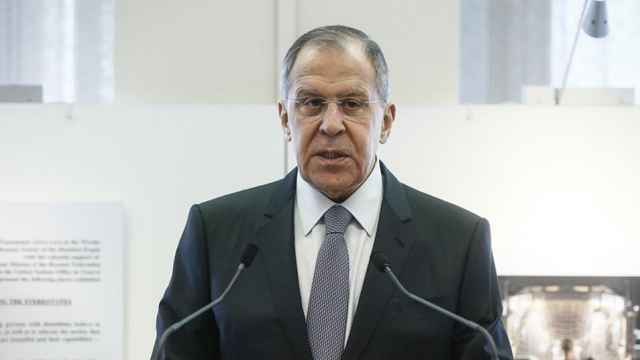 So, ever since his 2007 Munich speech criticizing the expansion of the North Atlantic Treaty Organization and the power dynamics of a “unipolar world,” Putin has pursued the superpower revival plan through military adventures in Georgia, Ukraine, Syria and now, with the help of private mercenary armies, in Africa. Strengthening economic ties with Europe and supplying resources for China’s continuing boom — the other two parts of the initial balancing act — became harder with this refocusing. Europe’s peace project rejects aggression. To China, a militarily powerful, assertive Russia is an annoyance rather than a potential ally, and any kind of resource dependence on it is a risk. 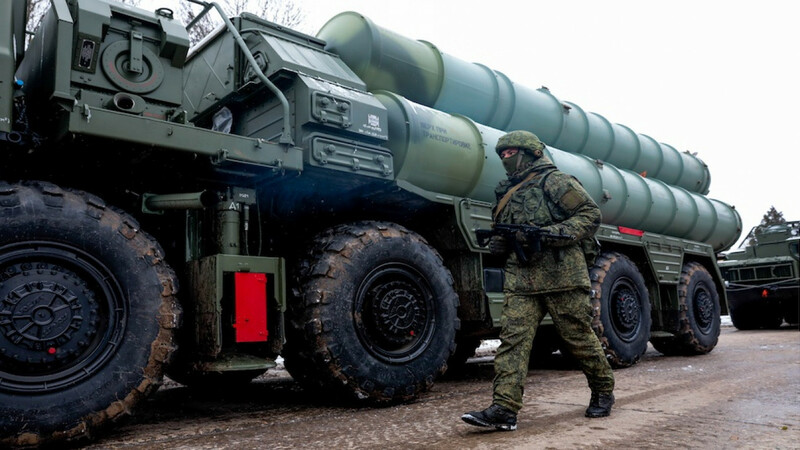 The superpower game can only be played if Russia has a formidable nuclear deterrent. Without it, the Kremlin doesn’t have the freedom to fight smaller wars. That’s why Putin focuses on developing weapons the U.S. and its allies don’t have. 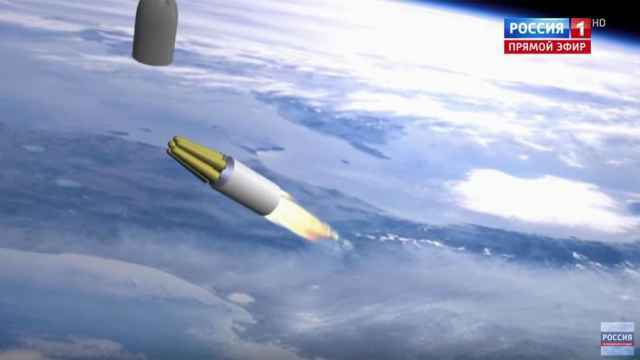 The Avangard hypersonic glide vehicle, tested on Wednesday in Putin’s presence, supposedly can break through missile-defense systems to deliver a nuclear payload at 20 times the speed of sound. But even the “happy solitude of a leader, a breakaway alpha-nation,” to use Surkov’s phrase, is increasingly hard to sell to Russians. For the older generation, Putin’s is the second iteration of a superpower game that brought them no economic benefits. For younger Russians, it’s an opportunity-limiting factor. Many Russians realize, now that they’ve seen the world, that their country doesn’t have the economic power to go it alone. 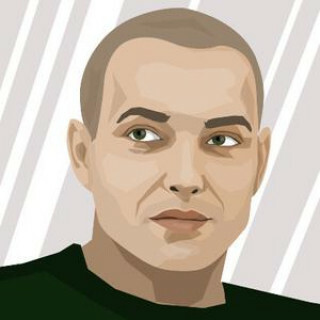 Repression is Putin’s only answer to these doubts and fears. It’s not a comfortable answer, however, given Russia’s history of blowing up when its people’s patience runs out. 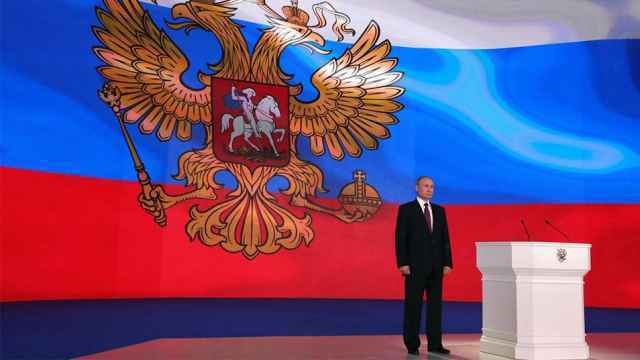 Whenever and however Putin may leave, any successor will need to revise Russia’s geopolitical choice. Putin has taken two decades to show that he doesn’t have a reverse gear. A new leader will be free from this constraint, and Russia may find itself considering its three choices again. Europe has a lot to gain if it has the courage. Drawing Russia in could solve some of the European Union’s fundamental problems. With its massive natural-gas reserves, Russia could propel Europe faster toward hard-to-reach environmental goals. With its untapped economic potential and need for immigrants to develop its vast territory, it could be a big help in resolving migration issues. With its recent investment in agile, modern military power — yes, in the Avangard, too — it could provide a backbone for a joint European military. Establishing a vast European common market including Russia wouldn’t be impossible: Even despite Putin’s hostility toward the West, Russia has adopted many European technical standards as it moved away from obsolete Soviet ones. All of this, of course, would only make sense for Europe if Russia were prepared to yield some sovereignty, accept some rules of conduct and adopt Europe’s values. That’s difficult to imagine today, but then the current EU would have looked fantastical as recently as 30 years ago. If European leaders were more farsighted, they’d be working on a comprehensive trade and security offer to Putin’s successor. In the absence of such interest from Europe, any Putin successor will be tempted to continue the superpower game to the bitter economic end, with China waiting to get access to Russia’s natural resources on the most favorable terms it can get. The option of continuing as China’s junior partner, the least preferable for Russia, could end up choosing itself. That’s hardly in Russia’s interest — and probably not in Europe’s, either, because would mean either a repeat of post-Soviet chaos or a strengthening of China. I’m unaware, however, of any preparatory work in the European capitals for the inevitable Russian succession. With Russia left to its own devices, Putin’s geopolitical choice, with supersonic weapons under the Christmas tree, has a good chance of surviving his departure from the Kremlin. 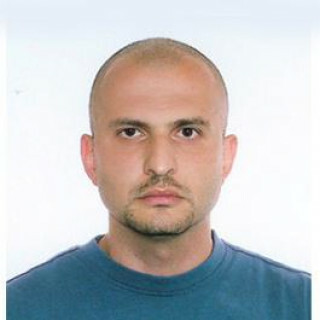 Leonid Bershidsky is a Bloomberg View columnist, the founding editor of the Russian business daily Vedomosti and the founder of the opinion website Slon.ru. The views and opinions expressed in opinion pieces do not necessarily reflect the position of The Moscow Times. 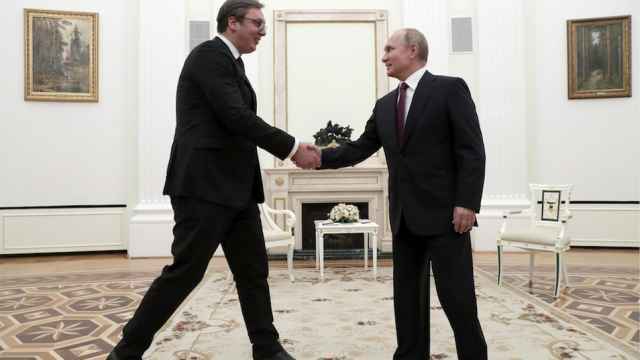 Russia has handed a prestigious state honor to Serbian President Aleksandar Vucic, a key European Kremlin ally facing popular protests. At times, Putin's militarized speech was a close second to some of the worst Cold War rhetoric.